The revised SEND code of practice can be downloaded here. In accordance with our Equal Opportunities and SEND Policies, (see school policies), we endeavour to give all children at Ashton Keynes Primary School full access to the National Curriculum/Early Years Foundation Stage Curriculum. Currently 30 pupils are on the SEND Register (14% of the pupils at Ashton Keynes Primary School). Of these, 28 children are supported at the level of ‘SEND Support which involves provision that is extra to or different from the general provision in the class’. Children at ‘SEND Support’ each have an Individual Education Plan which outlines their targets and additional support that is in place to meet their needs. This category has replaced the former designations of ‘school action’ and ‘school action plus’. Two pupils who have the most complex needs have an ‘Education Health and Care Plan’, otherwise known as a ‘My Plan’. This follows a formal statutory assessment from the local authority and aims to secure the best possible outcomes for the child across education, health and social care. This used to be known as a ‘Statement of Special Educational Needs’. Ashton Keynes Primary School is proud of the work it does to support all of our pupils, including those with SEND. Throughout the school, we build self-esteem with positive learning experiences and by successfully involving all children with whole school life. We celebrate the fact that all children are different and have diverse needs and we make sure that we tailor learning opportunities to meet the needs of individual children. We aspire to enable children with SEN to access and engage with all aspects of the curriculum, and develop the skills and knowledge to achieve, succeed and even excel beyond their potential across all areas of the curriculum. Our staff, across the school, have a wealth of experience and we recognise that quality first teaching is of paramount importance to ensuring the best possible outcomes for pupils with SEND. We also have a range of specific interventions designed to meet the differing needs of pupils and children may take part in a single, or many different interventions. Movement in and out of these programmes is flexible and responsive to pupil need. Differentiated learning is supported by our team skilled and trained teaching assistants (TAs). Pupil progress is tracked and evaluated regularly as part of an ‘assess, plan, do review’ cycle. 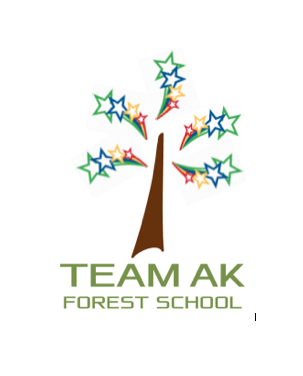 At Ashton Keynes Primary School, we actively encourage a team approach to supporting children with SEND. We recognise that children’s needs are most effectively met by working in collaboration with parents to secure the best outcomes for their child. This takes many forms for example individual review meetings, My Support Plan meetings, multi-agency meetings, home-school liaison books or simply a quick telephone call or email.